The City of Breckenridge has implemented a Boil Water Notice for a couple of blocks on West Wheeler Street and lifted two Boil Water Notices that had been issued earlier this year. The new Boil Water Notice is for the 100 and 200 blocks of West Wheeler Street. Due to conditions in the water system which have occurred (water line break), the Texas Commission on Environmental Quality has required the City to notify all customers in that area to boil their water prior to consumption. 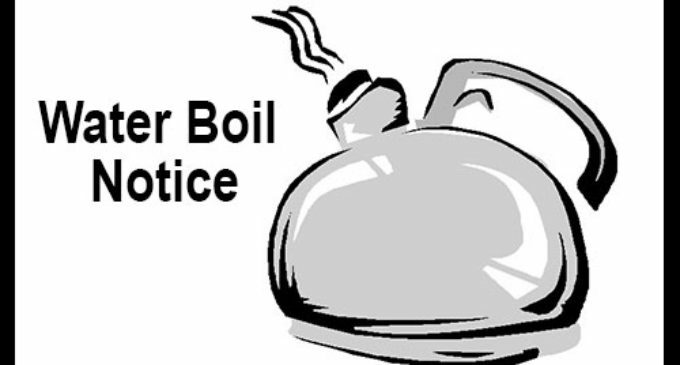 To ensure destruction of all harmful bacteria and other microbes, water for drinking, cooking, and ice making should be boiled for two minutes. In lieu of boiling, you may purchase bottled water or obtain water from some other suitable source. The Boil Water Notice will be in effect for a minimum of 48 hours. When it is no longer necessary to boil the water, water system officials will notify each customer directly in the affected area. The City of Breckenridge has taken the necessary corrective actions to restore adequate pressure, disinfectant levels, and/or bacteriological quality and has provided TCEQ with testing results indicating that the water no longer requires boiling. For more information, call the City Offices at 254-559-8287 or the Water Office at 254-559-7249.